Organic traffic is defined as being the opposite of paid traffic. This means any traffic you get from a paid advertisement is not organic, but paid. Organic traffic is traffic that you get naturally. You get these visitors by them searching for certain keywords and stumbling across your website in their search engine results. Consistently writing articles will help you get more and more organic traffic, which in my opinion is the best type of traffic. These visitors want to be on your website. They willingly chose to visit your site. Now you need to give them a reason to stay and consistent blog posts are a great start. Both search engines and people love websites that are updated regularly. Once a week should be the minimum that you aim for. Although you’re writing for your audience, make sure to write for search engines as well. Doing so is how you get a good portion of your audience. SEO and frequent blogging are big factors in getting organic traffic. But keep in mind that writing just for the sake of writing will not help you in the long run. Write because you have something relevant to share, not just because you want to post an article on your blog. Readers can tell when your heart is in it, and search engines can tell when you’re trying to play them. With that being said, damage can be done to both relationships. Your website represents you so make sure not to be low quality. Search engines are just as good as real people at determining whether or not content is real or artificial. Don’t try to outsmart them with low quality content. 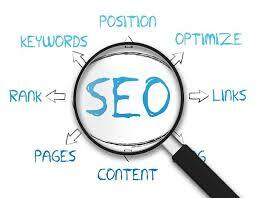 With good, high quality content comes higher rankings in the search engines and more repeat visitors. Before hitting that publish button just think to yourself, “If I saw this on another site, would I want to share it?” If your answer is no, you probably shouldn’t post it. Content is king and keywords are a key part of that. Long tail keywords are best. Shorter keywords will have a higher search volume making it difficult to rank for those keywords. Long tail keywords are much more specific but it’s easier to rank for and you know your traffic from those keywords are definitely looking for your content. Trying to rank for shorter keywords will take up too much of your time so concentrate on long tail keywords. You do want to use popular keywords but don’t use the most popular keywords. Those are the keywords that everyone else is trying to rank for. Try ranking for keywords that are popular but not as popular and also make sure the keywords are specific. This will improve your search engine rankings. If you’re not sure what keywords you should be using, check websites such as Google’s Keyword Planner, SEMRush, Keywordtool.io and Google Trends. This whole time I’ve been telling you to post frequently and if you’re like me, coming up with things to post about can be a little difficult. A recent study from BuzzSumo found that it was list posts that readers wanted rather than traditional posts comprised of sentences made into paragraphs. List posts get more overall engagement which typically get more social media shares which will then get you more readers. Try breaking your posts down into bullet points to see if a list post works well with your audience. You have content. What do you do now? A blog that gets no visitors is useless. Guest blogging is a good place to start. A lot of bloggers will do guest posting for the sole purpose of promoting their website. Don’t be like them. Guest posting is a good way to get organic traffic so post high quality content everywhere you promote your website. With that being said, make sure the sites you are posting on are also producing high quality content. Don’t let your website be associated with anything low quality. Another thing to consider when guest blogging is relevance. Make posts on sites that are similar to yours, in the same niche. That’s another way to get organic traffic. Go back to your posts and respond to the comments. Again, it’s a good way to get organic traffic. That brings me to blog commenting. Commenting on blogs within your niche is a good way to increase your followers. Before commenting, make sure you scroll through the comments and make sure the site you’re on allows linking to your site. You can check by hovering over other peoples’ names and seeing if their names lead to their personal websites. If it does, start commenting on that blog. A lot of blogs enable comment moderation so to avoid getting your comments deleted, put up an avatar and use your actual name when commenting, not the name of your website. If you’re having trouble finding websites within your niche, use tools such as SEMRush and BuzzSumo. They can help you find websites with content similar to yours. Keep in mind that Google is very smart and will penalize you for going against their terms and conditions, so make sure to use only ethical techniques when trying to increase your organic traffic. If your site looks spammy Google will not hesitate to put it into their sandbox, which means your site will no longer be indexed in Google. This means your site won’t appear anywhere in their search engine and you usually can’t get them to reverse their decision. You can avoid this by following simple rules. Only build quality links. Don’t buy links on a low quality site. No matter how high quality your site is, if you’re building links using spammy websites Google will pick up on that. Also, never steal content. Always site your source and avoid plagiarism at all costs, and of course, make sure your content is of high quality. This also means only publish content relevant to your site. Following all of these tips will get you the organic traffic your site deserves.